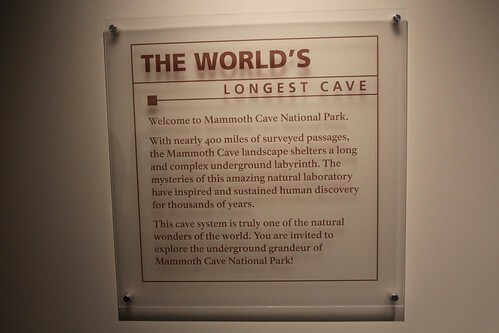 Mali Mish - Day 97: Mammoth Cave National Park. 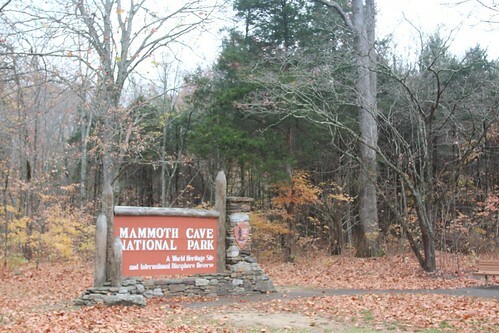 Day 97: Mammoth Cave National Park. We got a late start today but we can’t blame it on yesterday’s ghost hunting or the consumption of alcoholic beverages at the old tavern. It’s how we roll. 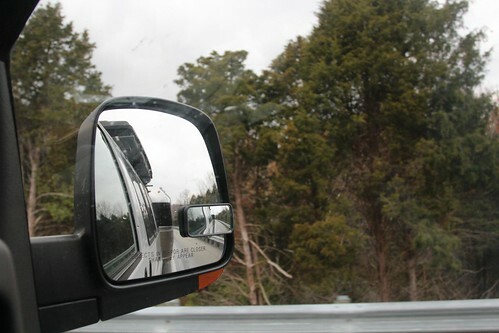 We decided to leave My Old Kentucky Home campground today and head to Mammoth Cave National Park to see what the fuss is all about. We unfortunately did not even go see the Home itself. Something about a song plus we were running late and hungry equals next time. And since our good friend Carrie lives in Kentucky, we know for sure that there will be a next time. 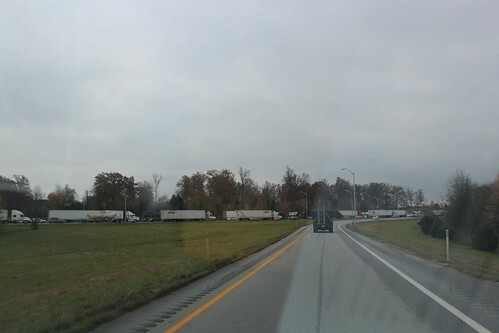 As we made our way out of Bardstown and onto the freeway, we noticed all the cars and trucks on the road were not moving. Not at all. And it was too late to abort our mission. The city shut down the freeway from both directions in order to fix some overhead wiring. Luckily for us, we snuck off the next exit and headed to another highway that got us to the caves. As soon as you pass the sign, you feel like you are definitely in a National Park. The density of trees is remarkable and we always take a deep breath when this happens. It feels so nice to have places like this still preserved in the US. 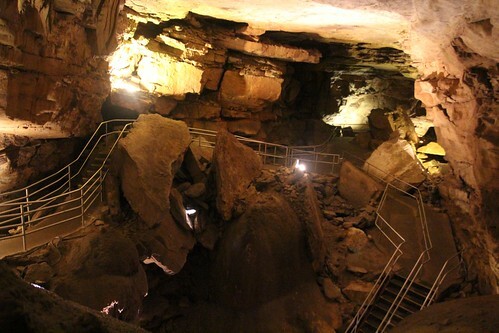 Mammoth Cave is an intricate underground network of tunnels. It has over 390 miles of passageways and is by far the world’s longest known cave system. 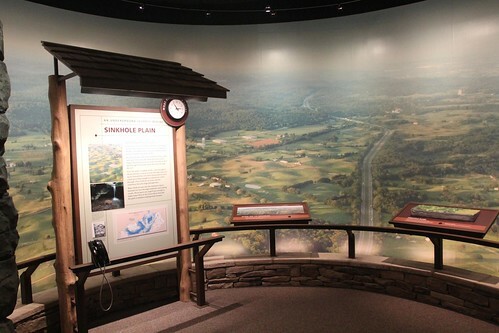 Coming in as a far second is Jewel Cave in South Dakota which consists of just over 157 miles. Take that, South Dakota! 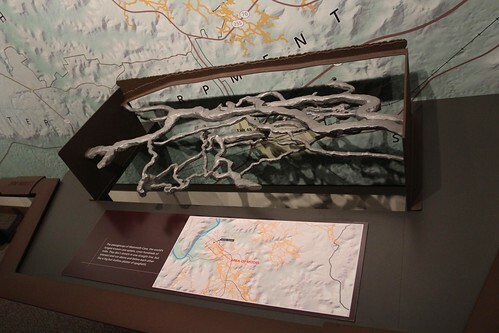 Check out replica of the cave’s passageways. How has Kentucky not become one giant sinkhole? The history of Mammoth Cave is an interesting one. From discoveries of Native American mummies, quarantining Tuberculosis patients, slave led tours to shady people trying to trick visitors to go to their Cave’s “entrance” instead of the real one, there are lots of interesting facts about this natural wonder. However we didn’t learn these things on our tour. The tour guide we had was the least informative guide we had during all of our travels. Yes we took the shortest tour available that was the most kid friendly, but that shouldn’t mean the most dumbed down. 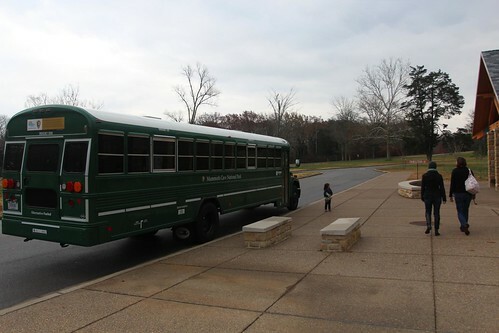 As soon as the kids saw this big green bus, their level of excitement skyrocketed. 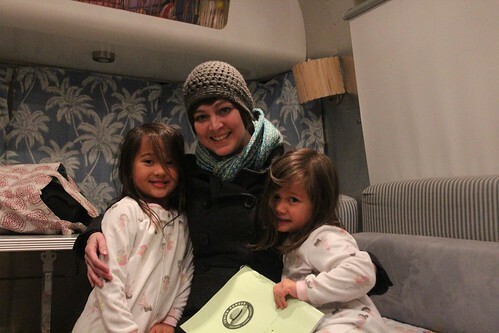 I must say that the bus was Mila’s favorite part of the day. After a short bus ride, we were dumped in front of the new tour entrance. Since this tour was the least strenuous they had available, we didn’t get to enter from the historic entrance, which was discovered in 1787 after a hunter chased a wounded bear into it. I was a little disappointed that we didn’t get to do a longer tour when the tour started. But by the end of it, I was glad we did. It isn’t easy to navigate thru dark wet tunnels with two little kids that are scared of the dark and a 21 pound baby strapped to your chest. And when the tour guide shone her flashlight on the rocks above our heads, where hundred of long legged crickets danced, we. were. out. of. there. Haha. Both girls have been in caves before but neither of them really remember the experience. 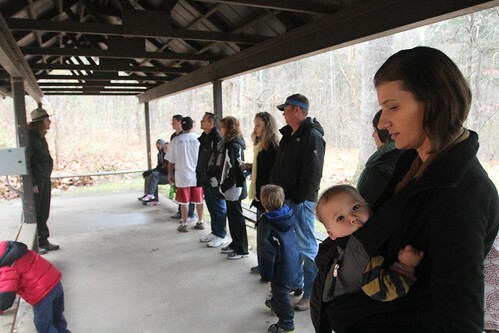 I was glad that they got to check out Mammoth Cave even though I don’t think spelunking is in their future. 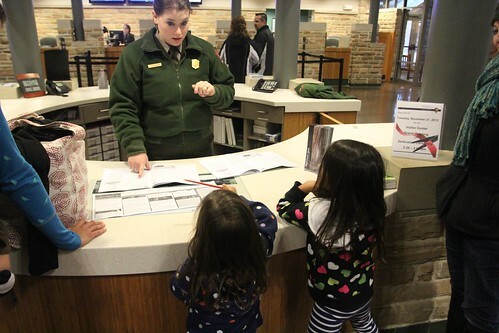 They were really excited to add another Junior Ranger badge to their collection. We really had to power thru the Junior ranger material on the bus rides since the visitor center closed as few minutes after our tour ended. 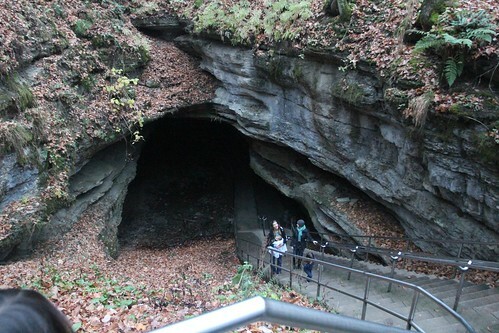 The natural historic entrance was my favorite part of Mammoth Cave. It was massive and naturally decorated with moss, ferns and tall trees. After two weeks with our friend Carrie, it was time to say good-bye tonight. 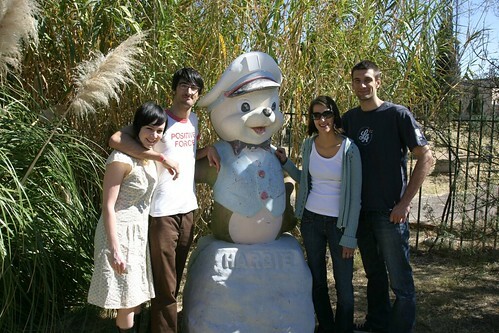 Exactly seven years ago, she took us on our first ghost hunting adventure on Halloween through the grave yards of Bisbee. Day 96: Abraham Lincoln Birth Place National Historical Park.